In 2016 we started The A-Z Of Waves. In this series, we featured a range of Wave plug-ins in alphabetical order. We completed this series recently and decided to collate all the posts from this series to produce an interactive 59 page eBook including extra free Waves tutorial videos. The A-Z Of Waves eBook is free to download - no sign-ups, no email address. This is our gift to the Pro Tools community and to Waves who are currently celebrating their 25th Anniversary in the Pro Audio Industry - Happy Birthday Waves! The free A-Z Of Waves eBook is in PDF format. The eBook covers a vast range of plug-ins and products by Waves including reviews, interviews and free video tutorials produced by Pro Tools Expert that shows you how to use Waves plug-ins in Music and Post Production. 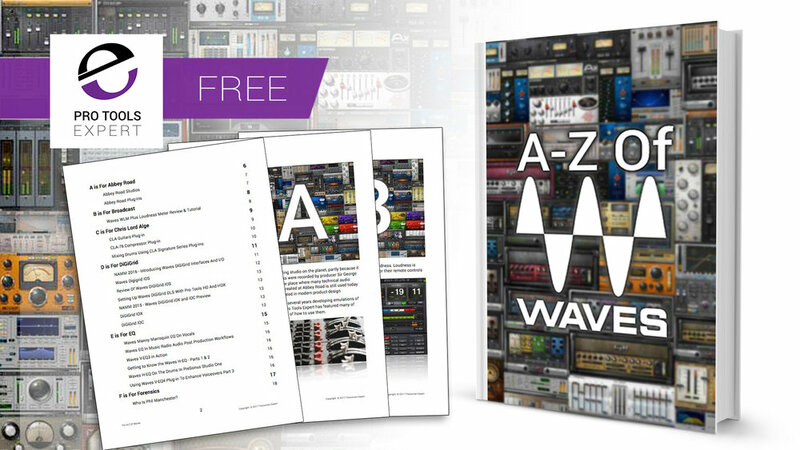 Download your free copy of The A-Z Of Waves eBook.